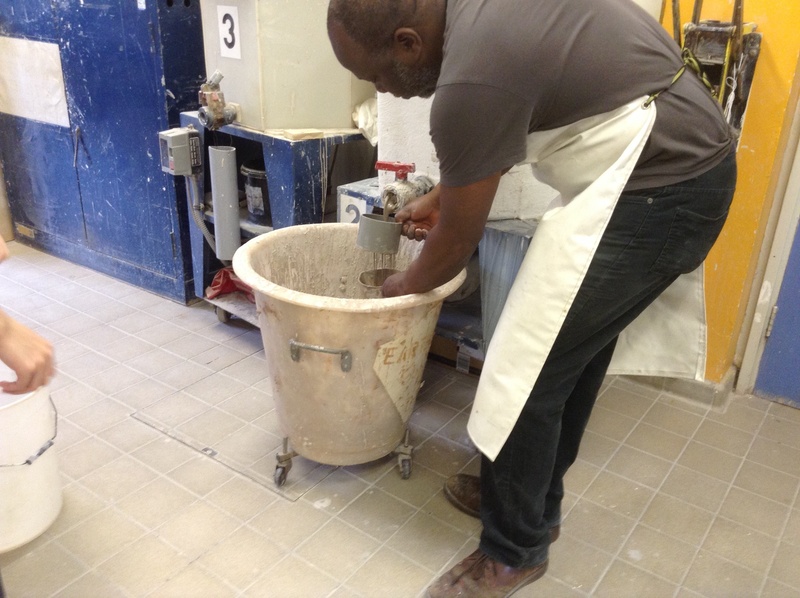 Mold making and slip casting were the order of the day today – our first introduction to the ceramics facilities, and in my case, my first foray into ceramics at all. 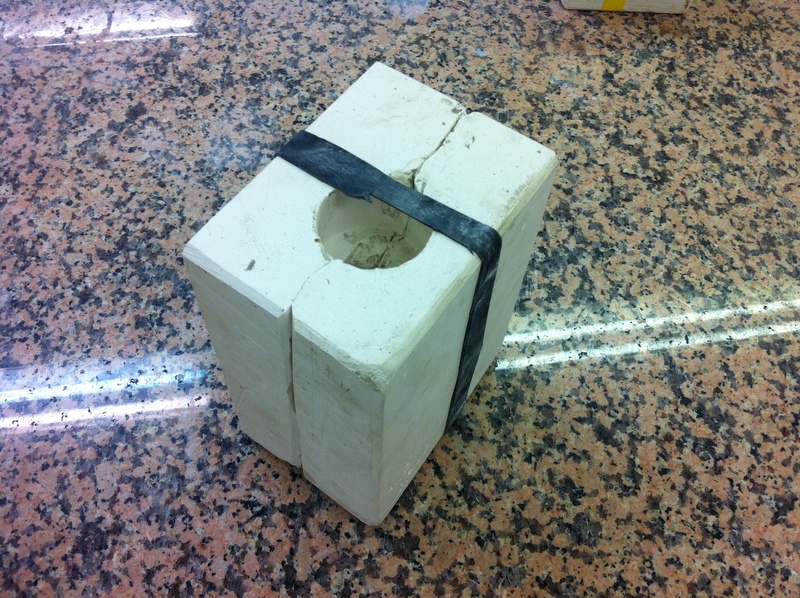 We started by making our molds out of plaster from an object we brought in. Not knowing anything about what we were doing, or how the technique worked I picked possibly the worst object of all time. We decided to have a go with it anyway – as a “learning experience”! Well, what do you think? He is a cute little dinosaur, but won’t win any awards for tidyness. 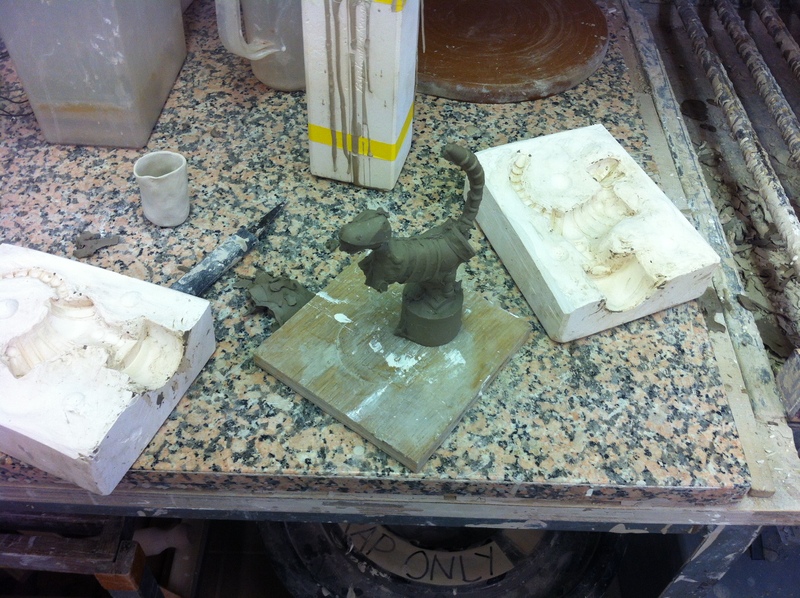 At least, I now have a much better understanding of what slip casting can (and can’t) do. Unfortunately, just after taking this photo the weight of the poor dino’s very solid clay-filled brain, caused the head to snap off – what was a very narrow neck and always likely to be a weak spot for the cast. 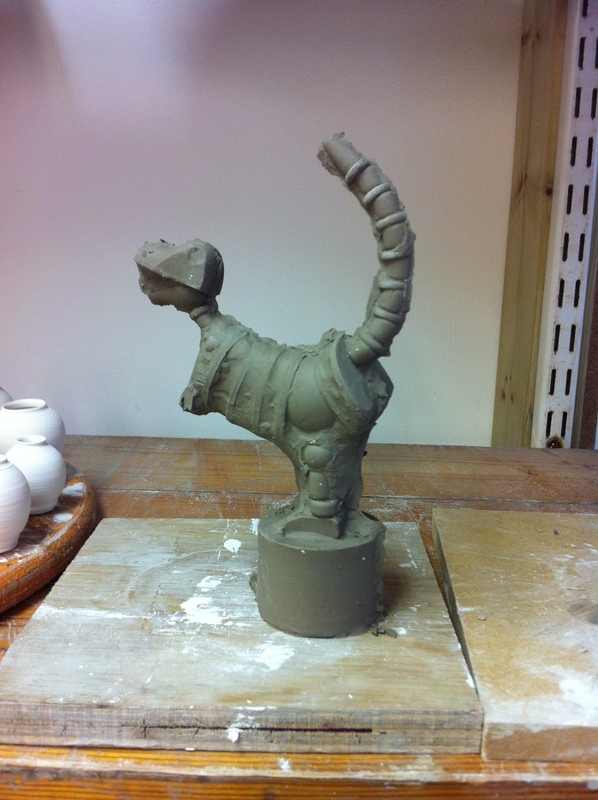 I have tried to fix it with more clay as a glue, and we shall see if it survives the drying process…. 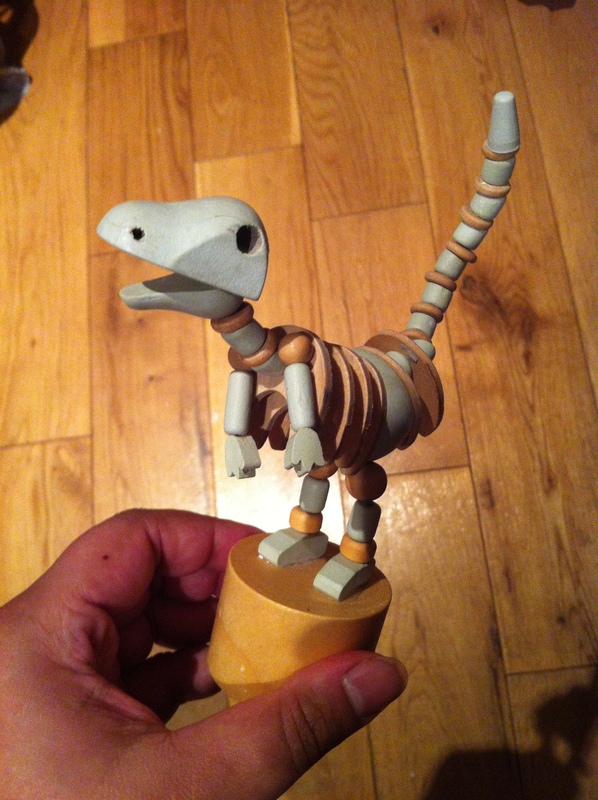 This entry was posted in 03.1 Getting making and tagged clay, dinosaur, slip casting on 15 September,2014 by antalbot. So cute, hope he still has his head on. Let’s hope so! Otherwise I can always pretend it was intended to be freshly dug up dinosaur bones!